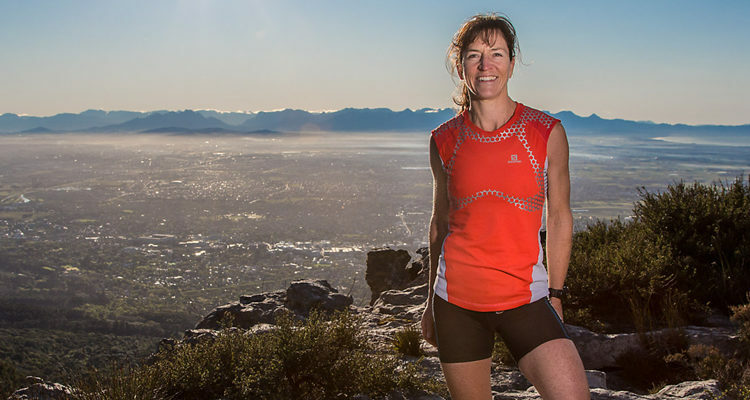 Veteran ultra-distance runner and NavWorld Ambassador, Linda Doke, has had a tough time of late – no matter what she’s tried, various injuries just keep cropping up, preventing her from making it to the starting line. 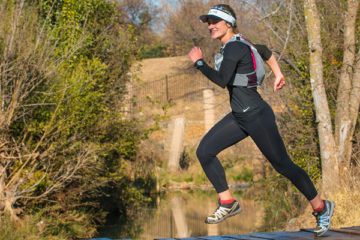 Realising that many other runners find themselves in the same sorry situation, she decided to share her frustrating experience. I’d never have thought that in one year I would do so little running. I’m an ultra-distance runner, after all – running miles and miles is what I do, and it’s what I’ve been doing for the past two decades. And yet these past 12 months, while the mind, heart and soul has said GO, the body has simply said NO! Let me leap back a bit – that intro needs some background. I’ve been running, or make that racing, ultras since 1995. 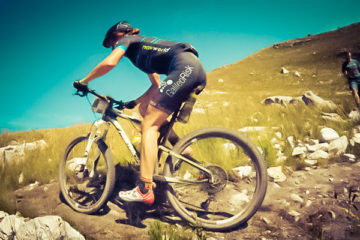 If there are quotas for clocking races and distances, then I’ve ticked them – 10 Comrades, 16 Two Oceans, six 100 milers, loads of 100 km’s, countless multi-day stage races (including a few of them self-sufficient), several deserts, some glaciers, and a few volcanoes all in the mix. I’ve run in incredible parts of the world, and had the privilege of sights, sounds and silences of landscapes few get to experience. Running is what I do, it’s what gives me joy, it adds meaning to my life. Add distance to the mix, and my heart sings. The freedom that running brings me feeds my soul, it’s the fresh air I need to keep me feeling alive and invigorated. But clocking up distances, be they on road or mountain, comes at a cost. No matter how careful you are about strengthening yourself to ward off niggles, they come knocking. Some just tap on the door and then move on, while others barge in, take a seat and make themselves comfortable, even though they’re not welcome. This year, I seem to have had a flurry of these unwelcome guests. Twelve months ago, after having to pull out 28 hours into the Tor des Géants (a 330 km non-stop endurance race in Italy, with +25 000 metres of vertical gain), I was showing all the symptoms of over-training (daily fatigue, low iron count, etc.) and was advised to take some time off racing. I diligently did that, and two months later picked up a knee niggle that had me out for the next four months. Once that was sorted, I picked up training again, my sights set on the Karkloof 100 Miler in September. Between April and the end of August, I resurrected my endurance and stamina by gradually building up my mileage, and was feeling good. And then, just four weeks before race day, I set off on my last long run, a 75 km mix of jeep- and single track that I planned to take slow(ish) and steady. Twelve kilometres into the run, my second toe began to burn. By 17 km it felt like the toe was on fire and, by 25 km, I could take it no longer – I pulled off the route and limped back home. I was fortunate to be able to see my physio, Chris Allan, that same day. He checked out my foot, and told me he suspected it was Morton’s Neuroma, but that I’d need it to be seen by a foot specialist. And so entered into my world a fancy and rather daunting name that I have come to detest. Who’d have thought that a toe on fire would be deserving of a name! Chris’s diagnosis was spot on, despite my neuroma being in an unusual toe – usually it’s in the third, not the second. My foot has since been poked, prodded and scrutinised by at least three different podiatrists and a sports physician, it’s been scanned, has endured two cortisone injections directly into the toe joint, and I’m already on my second pair of uniquely designed shoe inserts. Oh, and I’m not allowed to run… for the next while. So, what is this Morton’s Neuroma lark? And why has it decided to latch on to me? Morton’s Neuroma, also known as intermetatarsal neuroma, is a thickening of the nerve tissue as a result of compression and irritation of the nerve that runs between the toes. The compression is the cause of the burning sensation, and the tingling feeling I now get if I walk barefoot. And why is it happening? Apparently it’s as a result of my metatarsal arch (the wide part of your foot at the base of the toes) collapsing. Collapsing?? Blimey! A cross section of a foot showing Morton’s Neuroma. The reading-up I’ve since done describes the following common causes: 1) high-heeled shoes (I can count that out – I’m a journalist who works from home, I can’t even remember when I last had to wear high-heeled shoes); 2) foot deformities (er, no, not that I’ve noticed! ); 3) wearing too narrow shoes that constrict the foot (again, nope – I do have broad feet, but I tend to wear wider sizes). Finally, the most plausible explanation is the last one, defined by Food Health Facts as “activities that involve repetitive irritation to the ball of the foot, such as running or court sports”. Boom! Well, there you have it. The one activity I love most in my life is responsible for my toe feeling like it’s been set on fire. Hearing that definitely does not bring joy to my soul. Thankfully, I’m assured all is not lost – there is cooling at the end of this tunnel. A combination of carefully modified inserts which must be worn during all waking hours, no running (for a time, I’m assured), and the strangest toe exercises imaginable (picture knitting with your toes…) to strengthen the muscles between the metatarsals so that the arch will lift. Should these measures not be effective, the last resort (and by that I mean seriously last resort) will be to operate – a simple snip of the nerve to remove the neuroma. But, as with all surgery, the procedure comes with long term risks, so I plan to avoid the knife at all costs.